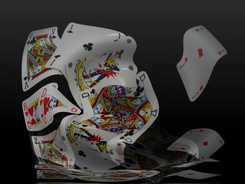 One card each is dealt to a dealer and to a player. 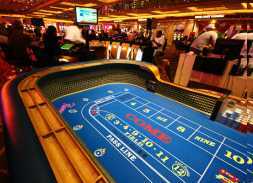 If the player's card is higher, he or she wins back two times his or her own wager, plus the raise amount. However, if the dealer's card is higher,the player loses their bet.A tie occurs when the dealer and the player each have cards of the same rank. 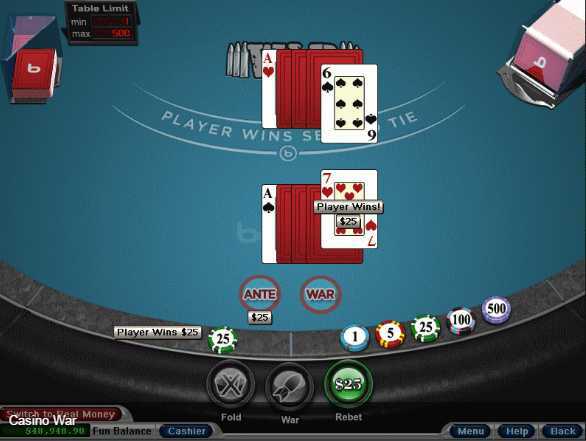 In a tie situation, the player has two options: The player can surrender, in which case the player loses half the bet. 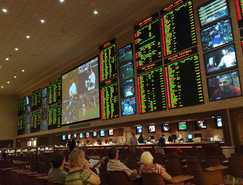 The player can go to war, in which case both the player and the dealer must place an additional wager the same size as the first wager.